You may have never bet on Formula 1 before, but it’s a underrated sport that’s worth considering. Football betting is becoming more and more difficult as its popularity is tightening prices and removing any value. But if you choose to bet on Formula 1, you can increase your chances of winning. It’s a very stat driven sport (pun not intended), with lots of markets available. For example, the bet365 Formula 1 section has a whole range of different markets available for each Grand Prix race. Find out more about bet365 here. Not only that, but it is an exciting, strategy based sport which becomes more intriguing as with each watch. If you want to bet on the Grand Prix, you’ll need to understand the different types of bets you can place. We’re going to run through the most common markets. For your information, the Bet365 Formula 1 product has all of these markets available. This is a long term bet, which can provide some great value if you bet on the Formula 1 Championship before it starts. The F1 Drivers Championship is awarded to the driver that has accumulated the most points throughout the season. Points are awarded as follows: 1st place – 25 points; 2nd -18; 3rd – 15; 4th -12; 5th – 10; 6th – 8; 7th – 6; 8th – 4; 9th – 2; 10th – 1. Drivers race in a total of 20 Grand Prix, with 2016 winner Nico Rosberg gaining 385 points. Because there are usually a few drivers who are clear favourites, bookmakers usually allow customers to bet on the Formula 1 Winner W/O market. This is exactly the same as the main market, without the two favourites. The Constructors Championship is given to the team that finished with the most points accumulated by their drivers over a season. Each team enters two drivers into the championship. This is another long term market and can offer some attractive odds. The market will have a title with the names of the two drivers. Eg. Hamilton vs. Vettel. You are betting on which driver accumulates the most points over the season. Again, this is a season long bet on the standings in the Drivers Championship. You are betting on a driver to finish in the top 3, or a driver to finish in the top 6. Finishes are determined by points. Before each Grand Prix, the drivers take part in qualifying. The qualifying portion of the Grand Prix determines where each car starts the race. The winner of the qualifying starts the Grand Prix in first place (pole position). You are betting on which driver you think this will be. The F1 race winner market is where you bet on the Grand Prix event in each country. You are placing a bet on which driver you feel will finish the race in first place. Again, this is another bet on the finishing position in an individual Grand Prix. You are betting on your chosen driver to finish in the top 3 and take a podium position at the end of the race. During each Formula 1 race the number of laps completed differs from circuit to circuit. But it can be between 50 and around 70 laps per race. You are betting on which driver will complete 1 individual lap in the quickest time. There’s an opportunity to get some great value in these as a driver may have the potential to win this bet, but isn’t consistent enough to win the race overall. If you want to bet on the Formula 1 Championship, or bet on a Grand Prix event, there are lots of stats that you can look at to help you make a decision. Grid position has a varying, but significant effect on the winner of the race from season to season. So far during the 2017 season, with 16 races run, the Driver who started the race in pole position won the race 43.5% of the time. But each track is different, so it’s perhaps too simplistic to break it down so crudely. You can start to look at the stats of how many times the pole position driver has won at each track. And how many times the current drivers have won when in pole position, too. Some tracks, such as Monaco, make it notoriously difficult for drivers to overtake, so a pole position on this track would have more weighing compared to say, Brazil or Turkey. Brazil holds the record for wet weather overtakes (126), and Turkey holds the weather for wet overtakes (144), so considering stats like these can play in your favour. You don’t have to have bet on Formula 1 to work out that the weather is going to play a huge factor in face finishes. Each team builds their cars in different ways, within the guidelines set by the F1. They also have different tires. Not to mention, every driver has a different skill set. It’s important to understand these things ahead of time because the weather can change in an instant. Usually, the markets and prices react to weather changes, but it does take some time. You can put yourself in pole position (pun intended this time) to grab the best value odds by doing your research ahead of time and reacting before the market does. As you may have noticed, we’re examining the biggest variables of each race, as these are what can determine the winner. And as such, help you bet on the Grand Prix you’re researching. The biggest variable of all, is the track that the drivers race at during each event. The tracks can vary wildly, and test each aspect of a Formula 1 Driver’s skillset. This is where historical data is most important. For example, since the Russian Grand Prix started in 2014, Mercedes have won every race. But if you’re expecting Spanish Grand Prix betting tips, for example, dream on! The race has been won by 5 different teams over the past 10 years. So giving Spanish Grand Prix betting tips based on historical data is as reliable as picking a name out of a hat. A good indication of how well a driver is tuned into a particular track, aside from historical data, is their qualifying times. So pay particular attention to those. This is a great one if you’re looking to get an early advantage by betting on the season long Drivers or Constructors Championship markets. The FIA are always changing rules to make races more exciting, safer, or fairer. Or sometimes, for no logical reason. But one thing to consider, is how these changes affect each team. One simple change can make a big difference to a team’s chances, so some technical knowledge on how they build their cars, and the advantage this gives them, will help you find some great value. Sometimes, bookmakers create special offers around different Grand Prix events that you can take advantage of and get some great value from. These are things such as price boosts the bookmakers increase the odds of a particular driver. 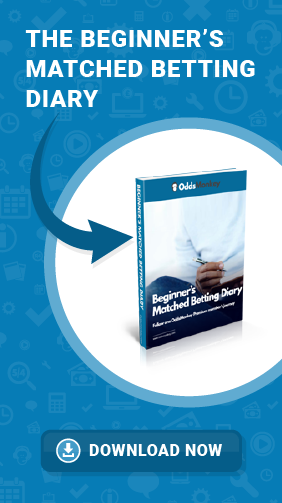 Using OddsMonkey & matched betting, you can create a risk-free bet. These offers are usually available in the members area, or our Community. Our thriving Community is of like-minded individuals, who love to discuss all things matched betting. And as a result, our members discuss a lot of normal betting strategy too – something that can help you bet on Formula 1. To access our Community, tools and training, join OddsMonkey Premium today for just £17.99.